After the walking tour you take the train to Stans where you start a combined journey with an old time funicular and an ultra modern aerial cablecar "The Cabrio" to the summit of Mt. Stanserhorn 6300 feet. The revolving restaurant Rondorama offers spectacular vistas. 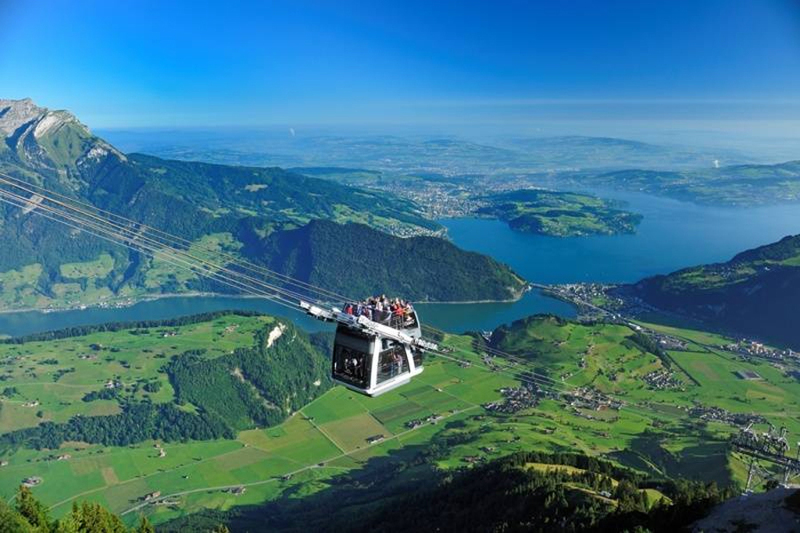 On the way back you'll visit the historic center of Stans, capital of the Canton of Nidwalden.